Fabion that only works in your pantheon. Anyway doing a lot of stuff theses days, I dont do a lot of cons(in fact I only attended one) but next year Im planning to change that, any cons suggestions?? This entry was posted on Monday, June 25th, 2012 at 1:30 am and is filed under Uncategorized. You can follow any responses to this entry through the RSS 2.0 feed. You can leave a response, or trackback from your own site. Must not make Red Sonja or Witchblade joke. 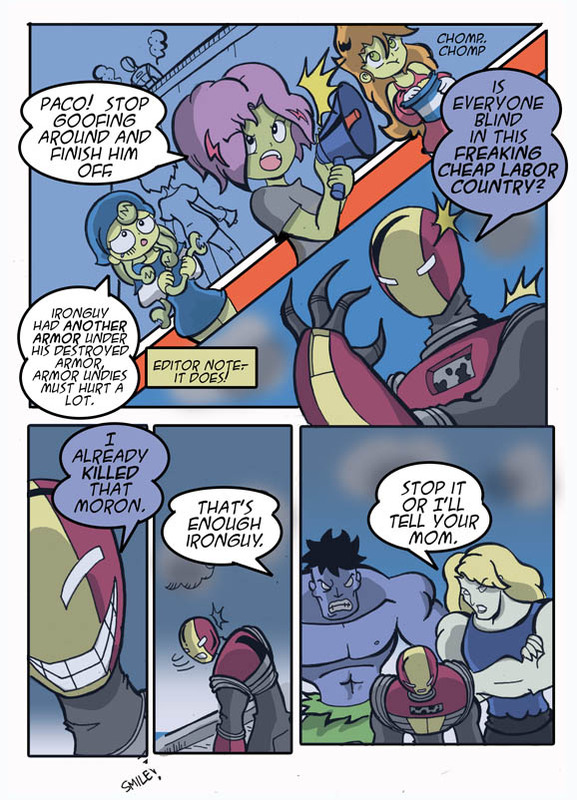 I like how Iron Guy’s chest thingy indicates he’s powered by Kirby Dots. a most powerful cosmic energy.